Press release du communiqué de presse diffusé via Le Grenier aux Nouvelles. (French only). 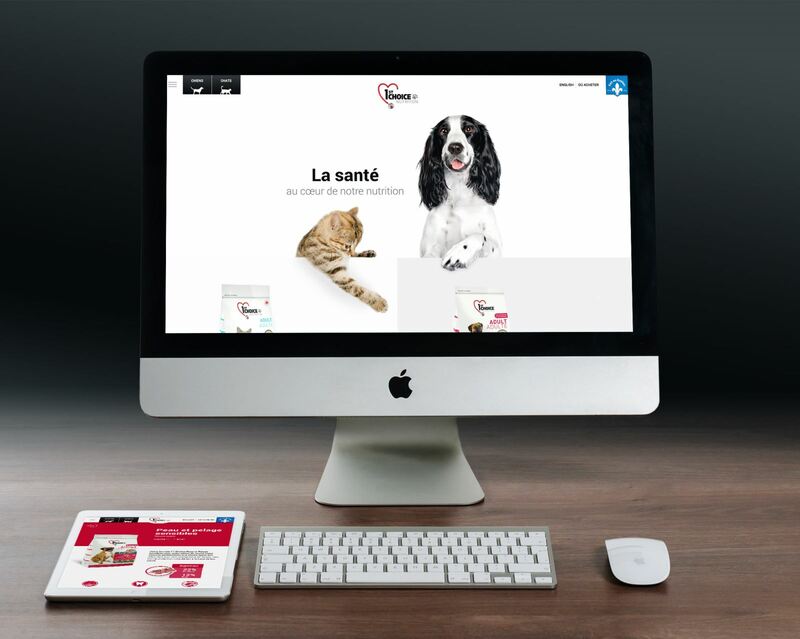 The Reptile team has come up against a major challenge in the development of the new web platform developed for 1st Choice, a pet food brand manufactured by PLB International and tailored to specific cat and dog health needs. The main challenges faced by the company were to provide a single dashboard with maximum product control and flexibility for all countries where PLB International brands are distributed. This flexibility should be beneficial the head office, but also their official partners who are in a better position to adapt the contents of the site based on the reality of their market in terms of translation, local promotions, points of sale, etc. In addition to presenting an outdated image of its brands offered online, not adapted to mobile technologies, PLB International previously had to manage multiple platforms for the same products. Created over the course of several years, they did not communicate with each other, making it difficult to launch a new product internationally. "Here in Canada, PLB produces and markets its brands while relying on a network of exclusive distributors. The plant is in Boucherville. Elsewhere in the world, however, PLB is only a manufacturer. The company has agreements with partners in strategic regions, "says Jonathan Laberge, director of business development at Reptile. They can modify PLB's offer according to their market, but the company retains control over its identity and the positioning of its brand through a brand identity manager that ensures consistency with established standards. "We had to design a unique translation module because each country has its own languages," says Stéphane Gagné, developer at Reptile. This allows any user, regardless of their country of origin, to connect to a single management console to view / edit product information related to their market.